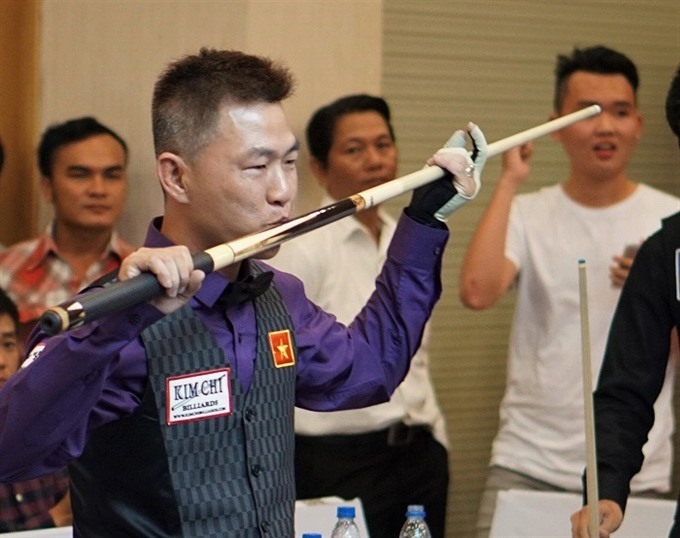 HÀ NỘI — Cueist Mã Minh Cẩm has made billiards history in Viet Nam, by being the country’s first representative in the semi-finals of the Three Cushion World Championship. The 40-year-old defeated a leading player of Mexia, Texas, Javier Vera, 40-28 in the quarterfinals of the Championship in Santa Cruz, Bolivia, on November 12. Cẩm will next face Belgian, Eddy Merckx, who won world titles in 2006 and 2012. The other semi-final will see a fight between two-time world champion, Belgian Frederic Caudron, and Marco Zanetti of Italy, who was also the former world champion in 2002 and 2008.